It is one of the most diverse cyclocross bikes ever. 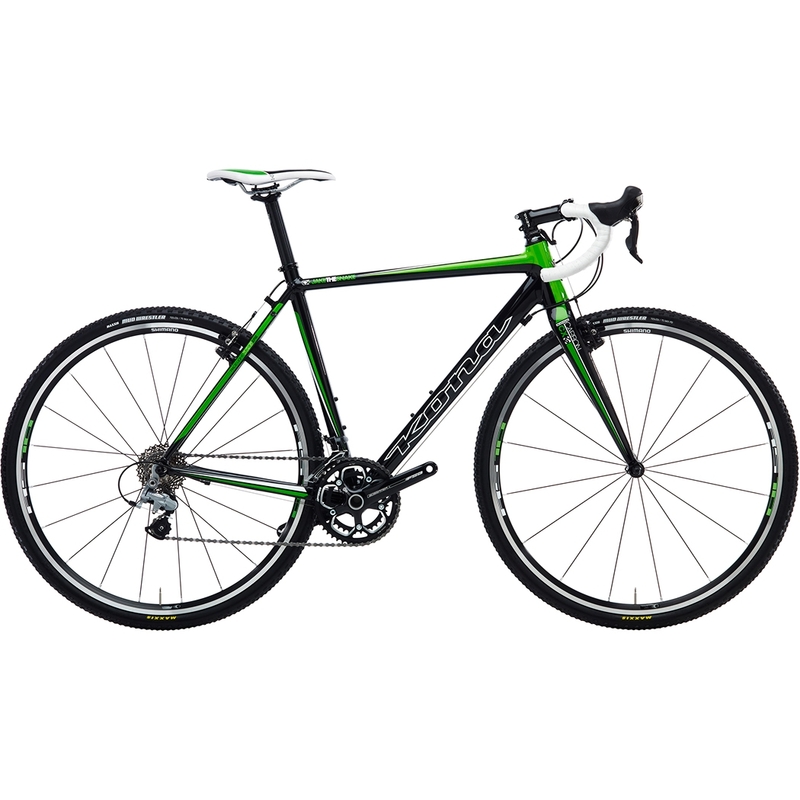 It can race, commute, train, tour or just plain ride. We've seen Jake The Snakes cross Africa, win cyclocross races and battle through downtown rain. This year, our classic Kona model takes on more of a racing aesthetic, sharing the same frame features and race-winning geometry as our Major Jake, as well as some bling-factor specs, like new Avid Shorty 6 brakes.